143 people chose, Yes and I love it (85%). 23 people chose, Thinking about it (13%). Well, I love what the majority answered, and it makes me smile, because I know that our hair is finally being accepted and worn with pride. I am also excited to know that more than half of the people that have came across Natural Expression can relate to what I post. I love knowing that my fellow Naturals are being informed, and that's my mission. Much love to you all. 14 people chose, Less than 5 months (28%). 13 people chose, 5 - 12 months (26%). As you can see, there are more newly naturals that answered this one, less than 5 months to be exact. This furthur let me know what I need to address. Yet again, very exciting! 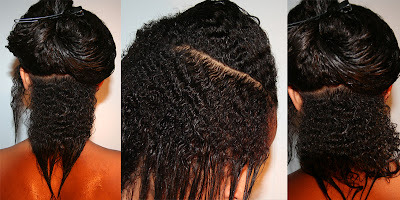 How many women do you know with Natural Hair? 0 people chose, None (0%). 24 people chose, About 1 - 5 (26%). I am happy to see that knowing 10 or more women with natural hair isn't far behind , that is such a beautiful thing. Tell me what are your opinions on the Poll answers.